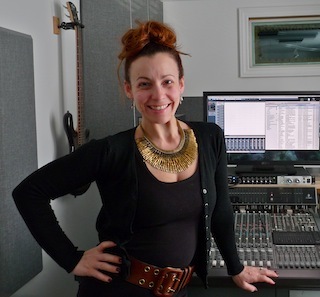 JL Recording Studios today welcomed the very talented Broadway Star Jenny Lee Stern to record a voice over for the Museum of Science. Jenny Lee is part of the new company of Forbidden Broadway beginning previews July 24th. Jenny is thrilled to be a part of this prestigious New York tradition. She originated the role of “Mary Delgado” in the Chicago and Toronto productions of Jersey Boys as well as playing it in the First National Tour. Recently she’s been seen around the city as The Little Mermaid in the Off-Broadway bound Disenchanted. Regionally, Jenny has garnered critical acclaim time and again for her portrayal of Patsy Cline in Always…Patsy Cline.